A new study demonstrates that those with terminal cancer do not necessarily benefit from chemotherapy. In fact, the results show just the opposite can occur. 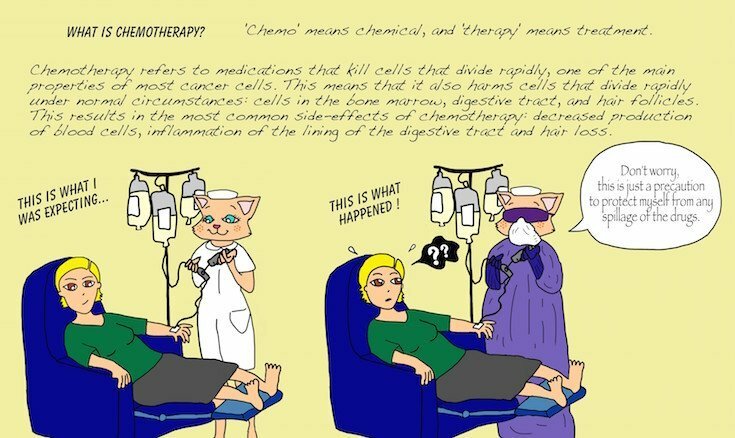 The closer the cancer patient is to death’s door, the more likely that chemotherapy will accelerate the dying process, as well as considerably affect their quality of life for the worse. The better their quality of life, the more it will be eroded by the ravages of chemotherapy. The older the cancer patient the more compromised the immune system, which then makes the individual more susceptible to all sorts of secondary infections and opportunistic pathogens. By administering chemo to the elderly with terminal cancer, the body’s natural defenses are simply overwhelmed. Oncologists have observed this phenomenon for decades. Nonetheless, hospital cancer patients are routinely administered their chemo regardless of these significant factors. NOTE: These chemotherapy procedures are reimbursed at relatively high rates and therefore function as robust revenue-generating schemes for both the referring physician and the hospital. Virtually every family nowadays is touched by cancer at some point. Both young and old are now vulnerable as it has become a disease which does not practice age discrimination. Many in their middle age are particularly susceptible because of the extremely high levels of stress which often weaken the immune response. Because of this reality, becoming familiar with the standard medical treatments, and especially their consequences, is advisable. The threefold allopathic approach to cancer remediation is well known: (i) chemotherapy, (ii) radiation, and (iii) surgery. While each of these methods can produce quick results, they each have their inherent drawbacks. No two cancer cases are alike and therefore each individual is challenged to construct a program of remediation that is appropriate to their age and general health status. The Cancer Industry tends to treat all cancer patients alike within the various major categories such as prostate, lung, colon, bladder, and skin for men; and breast, lung, colon, uterus, and thyroid for women. There are certainly other types of cancer, but these are by far the most common by gender. Once a cancer patient is categorized, they are run through a fairly standardized gauntlet of treatments by which the cancer is surgically removed, radiated, and/or chemically treated. Should these approaches fail over the long term, either individually or in the aggregate, the modalities utilized will inevitably produce diminishing returns. They can also bring about various unintended consequences that can be worse than the cancer itself. This is where every cancer sufferer ought to have a patient advocate who has been around the system long enough to know when to terminate an ineffective medical cancer treatment. Sometimes the whole treatment plan ought to be abandoned, especially during the later stages like stage 4. This is not a very well-known fact, but it’s true. Physicians who specialize in cancer treatment are so focused on eradicating the cancer from an organ or tissue that sometimes serious collateral damage is inflicted in the process. The continual testing that is required to monitor all the different blood work data and other lab tests results can be quite expensive and time-consuming. Nevertheless, it must be performed once a person avails themselves to a steady diet of chemo and/or rounds of radiation therapy. To neglect this critical monitoring can cause serious internal damage to organs and tissues alike. One oncologist was even sentenced to 45 year in prison for giving unnecessary chemo to patients – but that is a slightly different situation. For those with terminal cancer or intractable forms of the disease, it is recommended that they closely watch their quality of life issues. The aforementioned study makes a great case why this should be so. Even younger and healthier cancer patients will experience severe side effects from chemo. 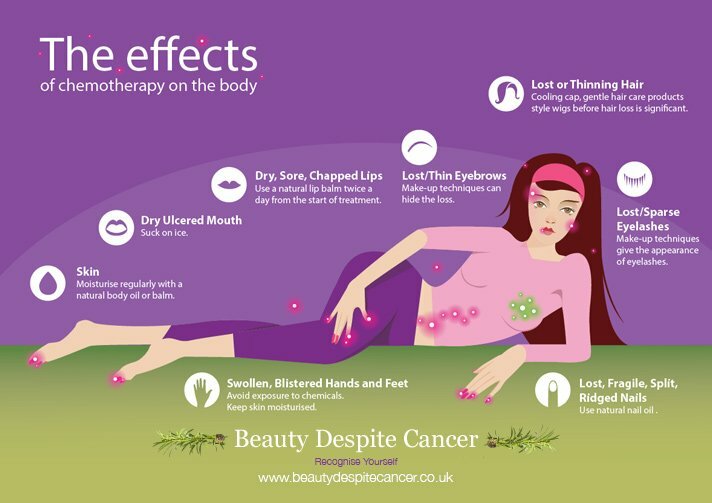 Chemotherapy has a well-established track record for producing certain side effects that can cause great discomfiture. No matter what the age or health status, a prolonged treatment regimen of chemo will generate collateral damage that cannot be avoided. The chemical formulations are designed, after all, to kill cancer cells, as well as to short-circuit the reproduction of cancerous cells. Hence, these chemical compounds are effective killing agents which will also kill good cells too. The Cancer Industry has become immensely profitable. There are certainly times when the medical treatments are appropriate and effective. There are also many cases where alternative healing modalities will provide much better results without any serious adverse side effects. There is also a broad array of holistic healing modalities and alternative therapies which have proven successful in pushing the cancer into remission — just do some searches here at Natural Society for more info. Oftentimes the cancer has been completely eradicated without any adverse side effects. Various detoxification protocols are particularly effective at enabling the body to release toxins which would otherwise weigh the individual down. I’ve been keeping the cancer in my body under control for over 3 years with no conventional methods whatsoever. It’s not too difficult if you catch it early (knowing your body helps so that you know when something is really starting to be wrong with it) and if it’s not a fast-growing or super-serious cancer. It helps if the person was relatively “healthy” beforehand; I wasn’t and that’s been hard. It also helps to have enough money to do the things that your body needs. I’ve been lacking in that area, as well, so I haven’t been able to do many things that I know would help me, like replacing the amalgams in my mouth with something safer. I would only advise “going it alone” like I do if you’re prepared to literally be your own researcher and doctor, or have someone close to you who can do that. This part is really important. Otherwise, you would want to seek a holistic doctor to help find the right nutrients and plant medicines for your body. Never rely on one single modality to control or “cure” cancer. Even with the big boys like cannabis oil and B17 (or conventional oncology medicine, for that matter), you still have to work on the causes of the cancer. The leading contributors are deficiencies, toxins, pathogens, hormone issues, and genetics. The last one we can’t do a lot about at the moment but the first ones can currently be influenced by humans. The first three can technically be addressed alone without the help of a holistic doctor. We can certainly avoid hormone-disrupting chemicals on our own (they’re ubiquitous, so it takes a lot of diligence), but a knowledgeable physician would usually be needed for hormone therapy–or even hormone testing to check for problems. One can test their own hormones through places like DirectLabs online, but those tests are expensive and need reviewed by someone educated about hormones. It’s definitely cheaper to have them done through DirectLabs rather than through your MD, but they’re still some of the most expensive tests on the market, which is why I haven’t had any of the panels drawn to check my own hormones. If anyone has any questions, please feel free to ask. If I don’t know the answer, I will let you know or direct you somewhere to find the information. I have a theory that some, of the many suggested cures might simply alkalize. if the book, “Alkalize or die” is correct then that would explain some sudden remissions. hemp oil, apricot seeds, baking soda with manuka honey, sulfur under the tongue are all cures for cancer.